In a couple of weeks, George Zimmerman will box DMX in a charity exhibition match. That’s surreal enough news on its own, but in an unsettling coincidence, the boxing match was announced on the same day as Trayvon Martin’s birthday: Had he not been shot and killed by Zimmerman, Martin would have turned 19 on Wednesday. 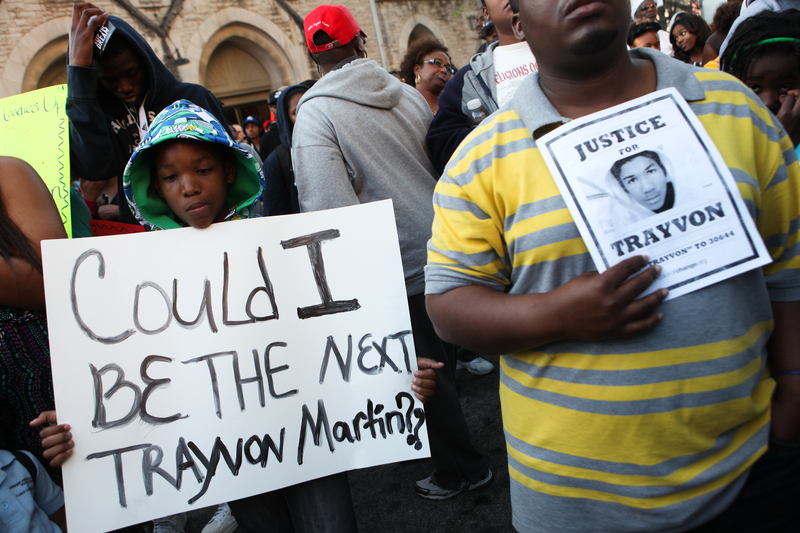 The two events sparked a renewed interest in the case — although it’s not as if interest ever died down since Martin’s killing in 2011 — and #HappyBirthdayTrayvon quickly started trending on Twitter. Twitter quickly took to denounce the injustice of Zimmerman making money off of killing an unarmed kid. Also, as Deadspin reports, the fight will probably be fixed anyway, thus eliminating any glimmer of poetic justice that the match might possibly have delivered. And, in yet another depressing coincidence, Wednesday was also the third day of jury selection for another “stand your ground” case in Florida. This tweet, from the anonymous guy behind the fake Will McAvoy Twitter account, more or less sums it up.